RGB stands for the three primary colors of light – Red, Green, and Blue. RGB can be described as the computer’s native color space for capturing images and displaying them. As human eyes are sensitive to these primary colors – red, green, and blue – all colors are perceived as a combination of these three colors. The RGB color model, based on a Cartesian coordinate system, is considered as an addictive model in which red, green, and blue, are combined in several methods to reproduce all other colors. 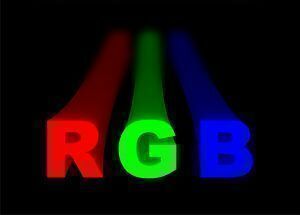 In the RGB color model, each color appears in its primary spectral component of red, green, and blue. The primary colors are derived from human biology. That is, these colors are based on the physiological response of the human eye to light. The human eye has photoreceptor cells known as cone cells, which usually respond most to green (medium or M), yellowish-green (long wavelength or L), and bluish-violet (short of S) light (maximum wavelengths of 534 nm, 564 nm, and 420 nm respectively). The human brain can easily distinguish a wide range of different colors based upon the variation in the signals obtained from the three types. One of the most widely used application of the RGB color model is the display of colors on CRT, LCD, or plasma display, such as a television or a computer’s monitor. Each pixel on the display can be represented in the interface hardware (for instance, a graphic card) as values of red, green and blue. The RGB values are then changed into intensities which are used for display purposes. Cameras and scanners also work in the same manner; it captures color with sensors which record the varying intensities of RGB at each pixel location in the frame. In RGB color model, a color is represented by indicating how much each ingredients of red, green, and blue should be included in it. Each can differ from the minimum (no color) to the maximum (full intensity). When all the colors are at the minimum value, then the displayed color will be black. And when all the colors are at their maximum value then the displayed color will be white. 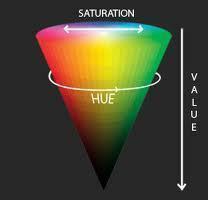 However, a confusing aspect in RGB color model is that all these colors can be represented in various methods. Color science describes colors in the range 0.0 to 1.0 (minimum to maximum). Majority of the color formulae takes these values to represent color variations. For example, 1.0, 0.0, 0.0 represents full intensity red. Another method of representing color values are by using percentages from 0% to 100% (minimum to maximum). This is same as the above said method, to change from the range 0.0 to 1.0, simply multiply the numbers with 100. The color values can also be represented as numbers ranging from 0 to 255. This type of number representing is widely implemented by computer programmers to store each color value in one 8-bit byte. Full intensity red is represented as 255, 0, 0. The same range, 0 to 255 is also represented in hexadecimal, in some cases with a prefix (like #). As, hexadecimal numbers in this range is usually written with a fixed two digit format, to represent the full intensity red it is written as #ff, #00, #00. This can be contracted like #ff0000. In 16 bits per pixel mode, also known as Highcolor, there are either 5 bits per color (often referred 555 mode) or an additional bit for green color (known as 565 mode). The additional of green color is due to the fact that human eye has the ability to identify more shades of green than of any other color. RGB values represented in 24 bits per pixel (bpp), also called Truecolor, are normally specified with three integers between the values 0 and 255. Each of these three integers represents the intensities of red, green, and blue respectively. Full range RGB can represent up to 255 shades of a given hue. But, pure reds, blues, or greens have this full range of shades. The 32 bits per pixel (bpp) mode is similar in precision to the 24 bits per pixel mode. The eight additional bits are not used always. 16-bit mode can also represent 16 bit per component, thus creating 48 bits per pixel. 48-bit mode helps to represent 65536 tones of each color component. 48-bit mode is mainly used in professional image editing, such as Adobe Photoshop. The video electronics industry utilizes RGB as a type of component video signal which comprises of three signals, red, green, and blue. The signals are transmitted on three separate cables. In some cases, additional cables are also used to transmit synchronizing signals. RGB signal formats are usually based on customized versions of the RS-170 and RS-343 standards for monochrome video. 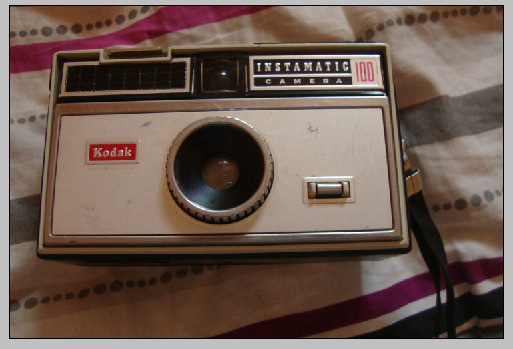 These types of video signals are commonly used in Europe due to the fact that it is an ideal signal which can be transmitted on the traditional SCART connector. S-Video takes the role of RGB as a video signal format in most non-European regions. However, RGB is used as the standard used by all computer monitors around the world. 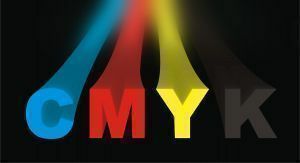 RGB is not used for printing on paper, instead the CMYK color space is used for printing. The combinations of cyan, magenta, yellow and key (black) ink make up all the colors needed for printing. 136 queries in 0.322 seconds.